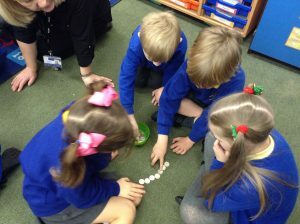 To prepare the children for playing on Times Tables Rock Stars, yesterday they took part in a range of multiplication based activities. 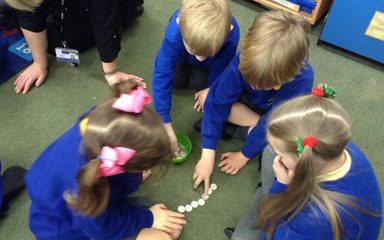 As the children have to try and win coins on Rock Stars we thought it would be a good idea to use our recent knowledge and understanding of money i.e. 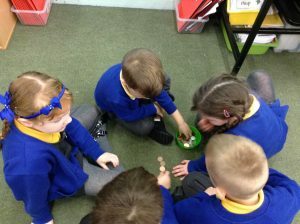 coins and their values to help us solve a range of multiplication based sentences. 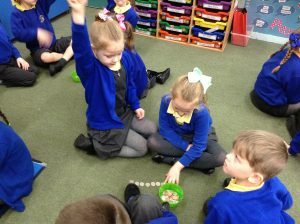 To do so the children used a selection of 2p, 5p and 10p coins to count in multiples and to calculate the answers. I even tried to trick them by displaying number sentences such as “0 X 10 =” on the board but the children knew that the answer was zero! 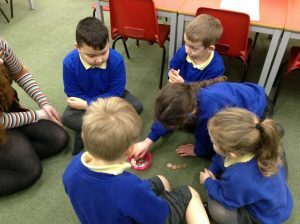 Once the children had mastered this skill they then went on to trying to calculate the answers mentally (with a little support from their fingers) — which they were all able to do. Well done everyone!